This series features three intelligent inventors uniting with a secret digital policeman named Gridman to hunt down an electronic demon known as Khan Digifer. 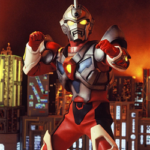 The Blu-Ray set will contain 7 discs, covering all 39 episodes of this iconic tokusatsu series. Price is a steep 32900 Yen before shipping & handling. Release is currently scheduled for December 20, 2017! Oh, didn't know there were any subs for it in the first place. How much of Gridman got subbed and by whom? I remember Superhuman! That's the one where the main villain was renamed KiloKahn/Kilocon, right? Also, didn't the old scuttlebutt imply that the adaptation was MORE popular than the original? mSubs got as far as the third episode and that was over a year ago. Speaking of subs, I'm rather amazed that there's still some non-Power Rangers source material that haven't been subbed i.e. 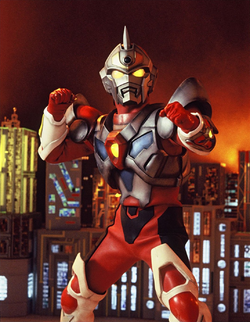 Spielban, B-Fighter (Kabuto) (which makes me wonder about their popularity). Yes, although it was done by several sub groups and you still hafta rely on HK subs on certain episodes. But at least it's fully covered.